I guess nowadays everyone will have at least a smartphone. If you really have a smartphone, time to do something with it. Have you heard before Geo Pet Saga (GPS)? 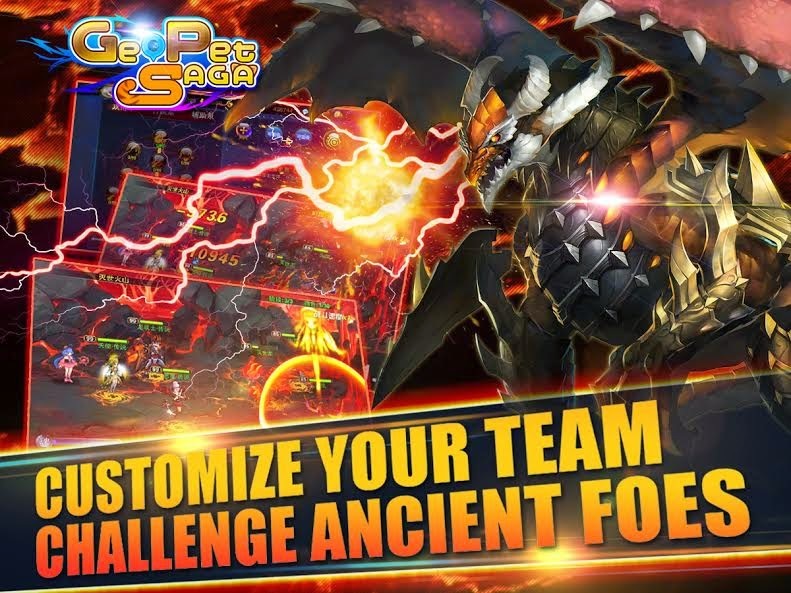 GeoPet Saga is one of the awesome game for smartphone right now. 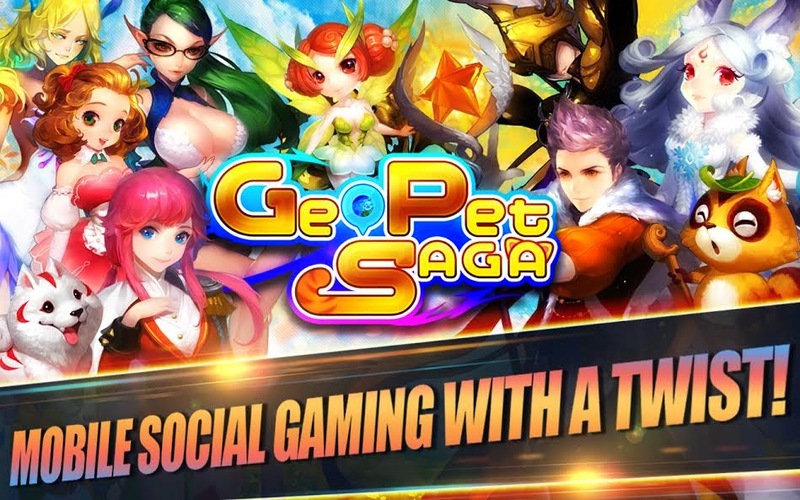 This game, Geo Pet Saga is just started launched on 18 September 2014 and there are more than 50,000 people has downloaded this game to their smartphone (Android or iOS). In addition, Kingsoft Co. Ltd is the one who develop this awesome game, Geo Pet Saga. 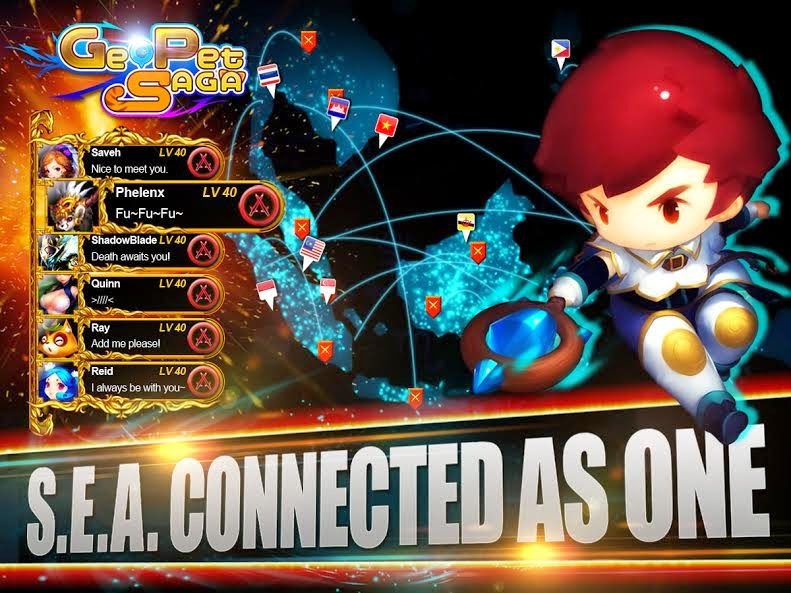 Geo Pet Saga (GPS) is a mobile Role-Playing Game with a social twist that lets you make friends and foes. Your tale begins with your abrupt transportation to Rivia, a mystical world of magic, and talking animals. On your quest to return home, you'll meet new friends, witness wondrous sights, and uncover the true reason for your presence. Across a sprawling storyline spanning over 800 quests and 16 zones, you'll serve justice across Rivia while seeking four Artifacts to unlock your path home. From talking raccoons to dragons, companions of all shapes, sizes and species will pledge themselves to you. As you progress, you’ll have to choose sides, stop wars, and even save the occasional mermaid princess. Rivia will surprise you with the neat, engaging and sometimes simply absurd interactive events it hides for you to discover. You'll enjoy the unique Brawl feature in Geo Pet Saga, which scans for players near you so you can battle them. Hey, you can’t make friends without a fight! In the upcoming patch, Brawl will be enhanced with world bosses and a territorial system. You'll be able to choose your allies and wage pet brawls against other districts, and even regions.